You are here: Home / feature story / News / New Music: The Smashing Pumpkins Announce First LP in 18 Years. New Music: The Smashing Pumpkins Announce First LP in 18 Years. Reviewed by Dianna Augustine on September 14, 2018 . The Smashing Pumpkins have announced the highly-anticipated Shiny And Oh So Bright, Vol. 1/LP: NO Past, No Future, No Sun. It will be the bands first LP in over 18 years, set to feature founding members Billy Corgan, James Iha, Jimmy Chamberlin, and guest guitarist Jeff Schroeder. Check out the new single “Silvery Sometimes (Ghosts)” below! Los Angeles, CA – September 14, 2018 – GRAMMY® Award-winning, acclaimed alternative rock luminaries, The Smashing Pumpkins today announced their highly-anticipated new LP SHINY AND OH SO BRIGHT, VOL. 1 / LP: NO PAST. NO FUTURE. NO SUN. Recorded at Shangri La Studios with legendary producer Rick Rubin, the LP is the band’s first in over 18 years to feature founding members Billy Corgan, James Iha, Jimmy Chamberlin, with longtime guitarist Jeff Schroeder and will be released on November 16, 2018. SHINY AND OH SO BRIGHT, VOL. 1 / LP: NO PAST. NO FUTURE. NO SUN. will be released on Billy Corgan’s own Martha’s Music under exclusive license to Napalm Records via a strategic worldwide partnership. The LP is available for preorder starting today. 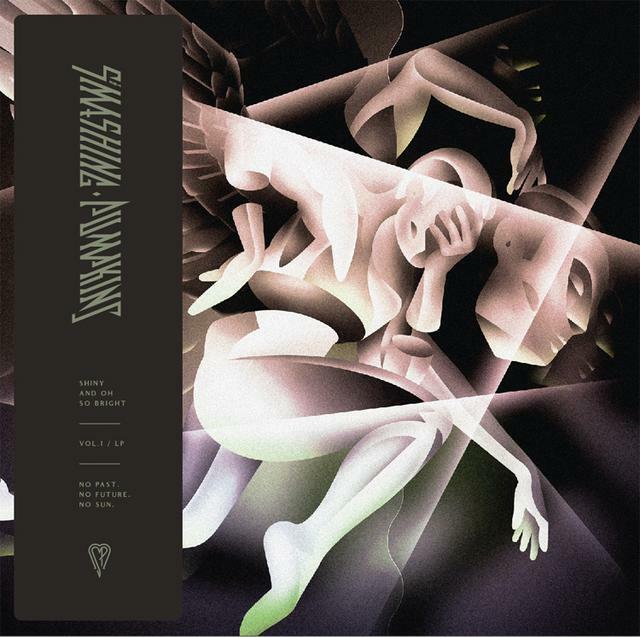 The Smashing Pumpkins today also released the LP’s second single “Silvery Sometimes (Ghosts)”. The track is available to stream and download starting today. Watch a lyric video for the track, featuring Corgan’s handwritten lyrics HERE. The band also just finished shooting a music video for Silvery Sometimes (Ghosts) with Billy Corgan as the director. The Smashing Pumpkins recently sat down with Zane Lowe for an exclusive interview on Beats 1 on Apple Music to discuss reuniting, their new LP, touring together for the first time in 18 years, and more. Tune in to hear the conversation in full on Monday, 9/17 at 10:00a PST at apple.co/B1_ZaneLive. Earlier this summer, the newly reformed lineup shared the first glimpse of their new music with the LP’s lead single “Solara“. “Solara” is available now to stream and download now via all digital services. The track’s dreamlike music video was directed by Nick Koenig and expands on the theatrics of the band’s catalog of iconic music videos. This fall, the band will perform in London, UK, and Bologna, IT, before returning to Chicago, IL for a special 30th anniversary series performance for WKQX’s The Nights We Stole Christmas. Tickets for the band’s upcoming live dates are available HERE. Formed in Chicago, IL in 1988, The Smashing Pumpkins released their heralded debut album Gish in 1991 and found mainstream success with 1993’s 4x multi-platinum Siamese Dream and 1995’s 10x multi-platinum Mellon Collie and the Infinite Sadness. With over 30 million albums sold to date, the GRAMMY®, MTV VMA, and American Music Award winning band remains an influential force in alternative rock. Stay tuned for all things Smashing Pumpkins!